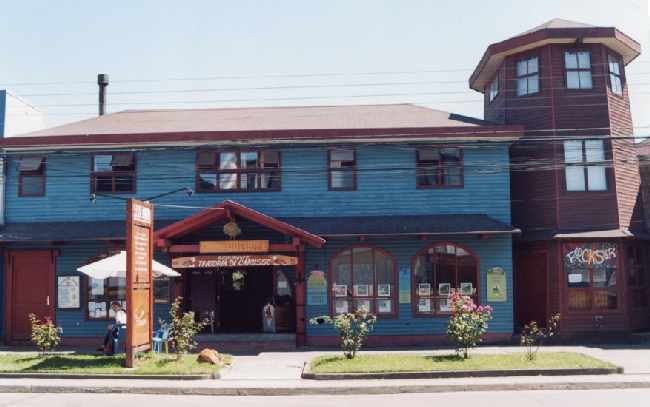 Welcome to Hosteria Outsider in Puerto Varas. We invite you to do a round through the rooms of the Hosteria Outsider. Using the red arrows and the camera symbols you can visit the lounge, the kitchen, the rooms and the bathrooms of Hosteria Outsider.